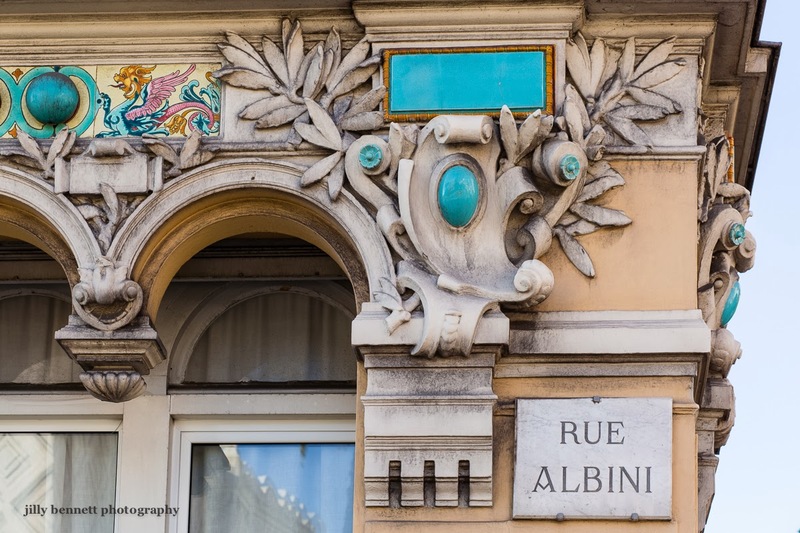 Menton Daily Photo: Look up! Look up, look up! There is so often something fascinating to see. This corner is opposite the Anglican church and across the road from the Casino. Levez les Yeux, levez les yeux! Il y a souvent quelque chose de fascinant à voir. Cet coin d'immeuble se trouve en face de l' église anglicane et de la rue du Casino. The detail, and that lush blue, are beautiful! It is both interesting and a puzzle that so much building decoration is placed where pedestrians will never see it. There must be some architectural rationale.